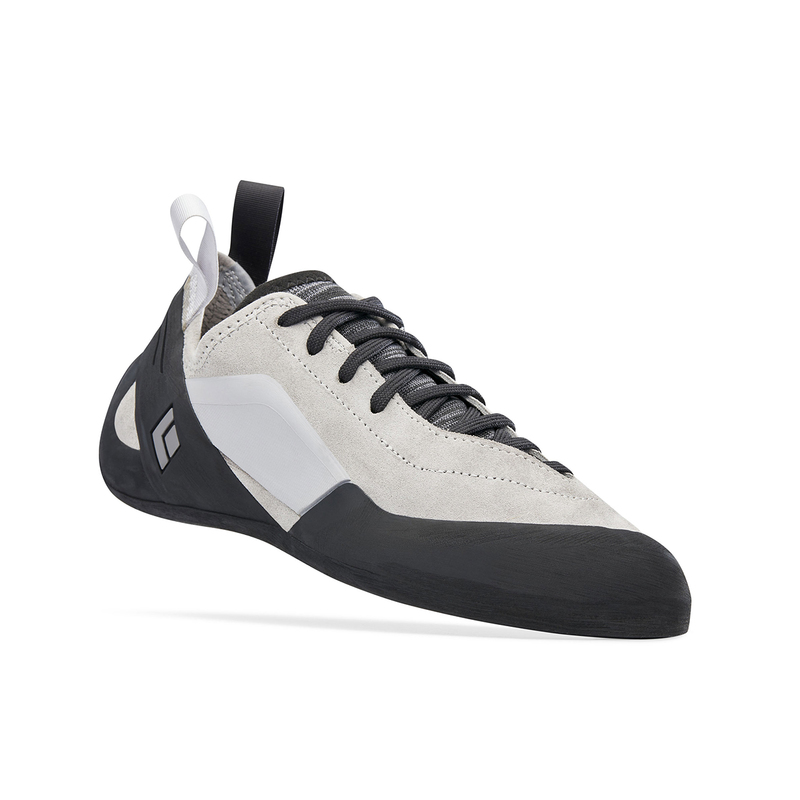 Trad shoes take a bit more abuse than standard climbing shoes, and the Black Diamond Aspect reflects this notion of rough treatment. The leather upper slightly covers the laces on the outside of the shoe to protect them, and your foot, from abrasive jamming. The knit extends to the outside of the shoe, just under the rand line, to provide extra cushioning protection for jamming, also. BD's proprietary rubber formula is completely moulded rather than cut from a sheet of rubber, not only increasing overall durability but reducing weight. 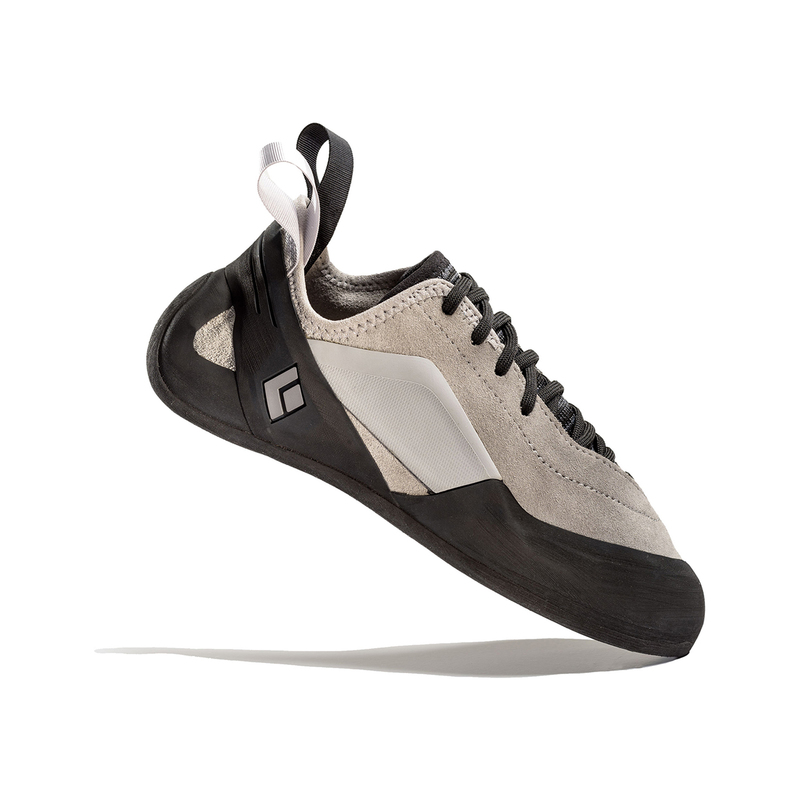 The all leather upper is of course highly durable, and will stretch to provide custom comfort. All these features make the Aspect extremely hard-wearing. Other trad-specific features include a medium-flex midsole to provide the best balance of support on edges and flexibility when jammed in cracks, a lateral stabiliser rand to increase precision by keeping your foot from rolling when pressure is applied to the outside or inside edges.